David Reader is a Fellow in Competition and EU Law at Newcastle University (UK) and a Senior Fellow at the Melbourne Law School, where he teaches remotely on the University’s Global Competition and Consumer Law Program. His main research and teaching interests are based around Competition Law, with his primary research area concerning cross-border merger procedure and, in particular, the role of public interest criteria within merger control regimes. His previous research has also explored the application of competition law to markets with 'unique' characteristics, including media, energy and healthcare. His research has featured in numerous leading journals in the field; most recently, the Journal of Antitrust Enforcement and the IBA’s Competition Law International. 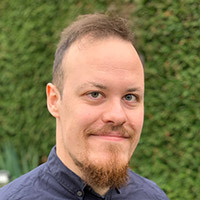 He acquired a PhD in Law from the University of East Anglia in 2015, for his thesis entitled 'Revisiting the Role of the Public Interest in Merger Control', which utilised legal and empirical methods to explore the practicalities and justifications of considering public interest considerations within merger assessments. By drawing insights from 75 merger regimes across the world, the thesis proposes a framework for accommodating public interest criteria within merger control, while seeking to minimise the disruption that such criteria can cause to the competitive process. Before commencing his most recent roles, David worked as a Senior Research Associate at the Centre for Competition Policy (CCP) and an Associate Tutor at the UEA Law School. In addition to Competition Law, his teaching has also encompassed EU Law, Company Law, Law in Practice, Legal Skills Development and Research Topics in Emerging Technologies. PhD in Law, Thesis title: 'Revisiting the Role of the Public Interest in Merger Control' (University of East Anglia, 2016). LLM (with Distinction) in International Competition Law with Research Methods Training (University of East Anglia, 2012). LLB in Law (University of East Anglia, 2010).